Are you overwhelmed just thinking about what it takes to build your own blog for your online business? You may not know how to get started with making a blog and therefore are getting behind with marketing your business on the Internet. I have great news for you today! At the My Lead System Pro Live the Dream event over the weekend, Founder Brian Fanale made an awesome announcement. 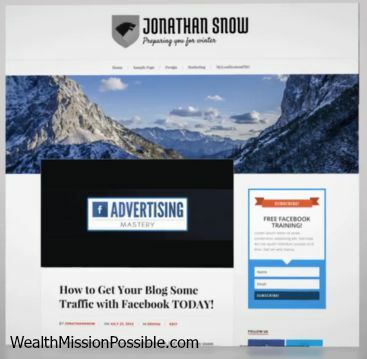 In addition to all the world class training, tools and ability to add a second income stream, My Lead System Pro will make is simple for you to build your own blog website. MLSP Sites is the newest addition to their offering and it’s powerful. Get excited because I have a plan for you to succeed! I’ve earned hundreds of thousands of dollars just from blogging so don’t miss what I have to say here. Your blog is an asset and your central hub. It works for you 24/7 on the Internet and helps you build your brand! CLICK HERE NOW to get your MLSP Mastery Membership. Making a blog will help boost your business in a big way. So, how can MLSP Sites help? Here’s the scoop on MLSP Sites. It is available NOW. I was selected as a beta tester when I wrote this post and Sites is amazing! You can learn how to set up a blog site through their comprehensive training portal. What’s included and why does MLSP Sites make setting up your own blog so simple? 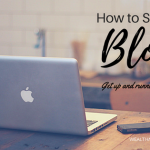 I am very excited for everyone that has hesitated to set up a blog. This is your chance because MLSP Sites will make it as simple as possible for you! What Would You Write about in Your Blog with MLSP Sites? I know you are probably wondering, “what should I blog about?” I have a simple answer for you. In fact when I started blogging many years ago, I used this method and still do sometimes. You can build your own blog website with MLSP Sites using the method I outlined below. Rewrite it into a blog post. Include your affiliate links to MLSP. If you answered yes, your future can look a lot different in a year from now. The mystery of how to set up your own blog will no longer exist with this new blogging platform. Join MLSP Mastery today (the extensive training library is only available at the Mastery level). 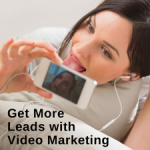 Start going through the thousands of hours of training and learning about Internet marketing strategies. As you learn, take notes and rewrite into blog articles. Decide which affiliate links you want to include in your post for your call to action. Setup your own blog with MLSP Sites. Build your own blog with a push button setup. You’ll already have many blog posts ready to publish. You’ll publish them a day or two apart from each other. Can you do this? Of course you can! If you are ready to commit to this, I will also help you with a coaching call to help you get started. Blogging can be very lucrative as I have experienced. If done correctly, anyone can make a nice profit. Are you ready to build your own blog with My Lead System Pro? 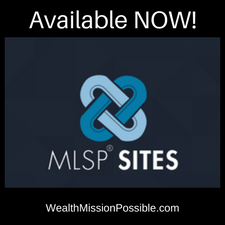 If yes, then CLICK HERE and get your MLSP Mastery membership now so you can get to work and build a business – MLSP Sites is available NOW! Hi Mariana! I sent you an email. Great blog here. Love the domain name!